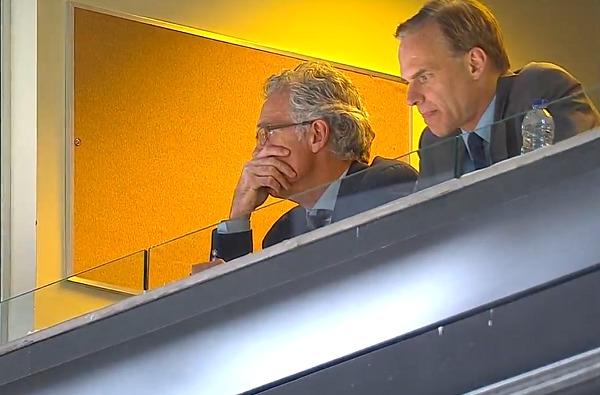 With the end of the season nigh, we’re approaching the time when the Edmonton Oilers will need to make decisions on the players they want as part of their organization. Trade and unrestricted free agency get considered a lot, but before the team embarks on that approach it has to decide what to do with its own pending free agents and unsigned draft picks and how much space on the 50-man list it needs. Additionally, the club has 20 skaters who are either pending free agents or draft picks the Oilers must sign in order to retain their rights. The team has only has a maximum of 17 spots for those 20 players, plus any free agents the club wants to bring in. Additionally, it’s always wise to have some breathing room for flexibility in case of injury or opportunity during the year. We can also add any players currently in the system on minor-league deals who might plausibly be of interest; the most notable one probably being Josh Winquist (40 games, 18 points in the AHL). For this week’s edition of What Would You Do Wednesday: Who do you keep, who do you send on down the line? My version of the depth chart has 44 signed players, along with four slots (NHL No. 2 centre, No. left defence, No. 1 goalie; AHL No. 2 goalie) that will need to be filled by players on major-league contracts. I’d also buyout Nikita Nikitin and add another NHL defenceman, but that’s a digression from the basic point of this piece, which is to figure out the 50-man list. The solution above has 49 players signed, leaving room for one addition in-season. I’m cutting a bunch of players in this solution, and for the most part I have no great qualms about sending them out. In the Oilers’ shoes, I’d potentially be interested in retaining Bachman to split time in net with Brossoit at the AHL level, but ideally that slot is filled by a free agent goalie prospect, either from college or overseas (besides which, Bachman himself may be interested in greener pastures). I’d also be interested in signing 2013 pick Jackson Houck to an AHL deal. Hypothetically, if there are some interesting European or college prospects that the amateur procurement department felt Edmonton had a good shot at acquiring, further sacrifices might be made. Lain and (Curtis) Hamilton are not critical signings for the AHL team if there are better external options. Additionally Hunt could be sacrificed on defence, although he’s a handy player to have kicking around the system. The initial version of this piece omitted defenceman Joey LaLeggia, who recently agreed to an entry-level deal. Thanks to Steve in the comments section for catching that. Not really relevant, but watching Leafs-Jackets game reminded me of how hard MacT went after David Clarkson. And how disappointed he was at the time when he didn’t sign him. My God, signing Clarkson would have made Nikitin look like the Bargain of the Year. Anyone out there still happy that Craig’s on it? I’m gonna go out on a limb and guess that Dylan Strome will be our #2 C to start next season. Why? Cause Oilers. Crazy that a team in the west could miss the playoffs with 97 points. 97!! Hard to get excited about this Oilers roster when you know they could play until next January and not accumulate 97 points. It’s not as bad when you think that if the oilers were a competitive team, every other western team would have 6-8 less “free bingo space” points for beating us, bringing that 97 points down to a more manageable 91 points. The Oilers don’t have to make a decision on him this year, but there is a good chance they will sign Anton Slepyshev. Plus they will most likely sign their first round pick (assuming they trade the other one). That’s two more spots and two more incumbents to say good bye to. Bet on Oilers to draft D.Strome , seeing as Katz owns the Erie Otters . That should shore up what MacT. wants for another sized centerman with a physical side . Unless we win lottery and get his teammate C. McDavid . Katz made a personal loan to Bassin to the tune of $4.5 million and is likely listed as a creditor. Katz doesn’t own the Otters. Sportsnet has a story today of the Otters owner declaring bankruptcy recently in order to prevent Katz one of the main creditors, from being able to gain power over the team. I wonder with all the bad blood between our arrogant owner and the Eerie Otters if that has trickled down to the players there. If so, wouldn’t it be great if we won the lottery and McDavid says no to the Oilers because of Katz? The reputation of the Oilers from management to owner is mud around all hockey circles. All this because he was trying to get rights to an arena to put pressure on Edmonton city council prior to the deal he got. Katz made the deal with Bassin not because he was interested in the welfare of fans in Erie. Instead, if he could quietly buy the Otters, he could move them to Hamilton and take control of his ultimate prize – the hockey lease at Copps Coliseum – even though a fellow NHL owner, Michael Andlauer, was the existing leaseholder at the Hamilton arena. Andlauer, who made his fortune in the transportation and logistics industries, has a minority stake in the Montreal Canadiens and also owns their American Hockey League farm team, the Hamilton Bulldogs. Bassin agreed to be his front man in the Hamilton transaction because Katz insisted on a low profile. No one is saying it straight out, but the timing of Katz’s move on Copps in late 2012 suggests he may have been interested to use the Copps lease as leverage to get more public funding in Edmonton in a deal to build a new downtown arena for his Oilers. Great read JW but you forgot in your chart a vacancy for GM and a POHO. I’d sign Slepyshev, even if he technically won’t re-enter the draft for another year. The Oilers should want him in the AHL… I mean, look at your list for LW at that level! Shouldn’t a contract or two be set aside for our first rounders? With the braintrust left in charge they may not be headed back to college/the CHL. Speaking of Oiler year end, for those who have not had chance, check a great article by Staples in the Edm.Journl…. Re: Terrible record of the team since Katz took over. the President of the USA. ]Then again snakes and lizzards are difficult to corner. extend Bachman – 1 year, 1 million one way as NHL backup. Viktor Fasth contract runs out, he is already 32 years old, too expensive and uncertain as backup. Ben Scrivens contract runs until 2016 for 2.3 million buyout he charged the team with poor performance and excessive levels (Cap Space). Tyler Bunz is RFA at the end of the season, no contract extension. Laurant Brossoit contract as RFA will run until 2016, he is a classic starter in the AHL with a possible NHL career. Frans Tuohimaa is RFA with bad cards, but I could imagine him as AHL backup for another year. Ty Rimmer on AHL base would be an alternative as a backup when he has fully recovered from cancer constantly. Always check the 50 man reserve list! Available Goalie at NHL Karri Ramo, Michal Neuvirth, Cam Talbot and Anders Lindback would be worth a look. Possible returnees from the NHL? buyouts candidates would also Nikitin and Purcell. Nikitin has a poor cost – performance curve, with its many injuries buyout makes sense. 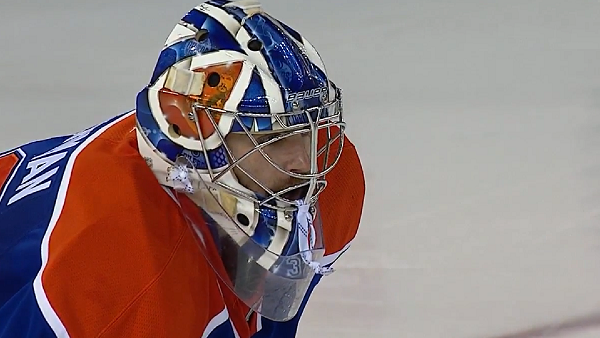 He costs the Oilers nearly $ 100,000 a game in 2014/15. Purcell could not find a permanent place in the system of the Oilers, with a space of 4.5 million cap, a costly achievement. Better alternatives should be to have more favorable. I could live with Roy as a center for another year. The right LW here is the decisive one. Iiro Pakarinen or Tyler Pitlick in the third line, with Miller as AHL-up call? We will not see Matt Fraser in the AHL, I can’t imagine safe to say it would be better for his development. Draisaitl – Yakimov – Lain will give the Condors a gain for the center position. A trade for one or two veteran winger would be desirable. They should give the young team some content and share their experience. Rumors say it will pull Steve Pinizzotto to his brother to Germany. Both have the German citizenship. About Hall we’ll may need to think in the future, if not entering a power increase. Next defense. Keith Aulie for little money for another year? Why not, he is not cost factor and he protects the young players. Give them ice time at AHL. Justin Schultz, from a cost – benefit point of view, it is comparable to Yakupov, RFA, another year (s) for 4 million or more? That would be worth a separate article. Brad Hunt is difficult to decide, he’s an AHL defenseman. He’s important for the young player, but he is not to be useable for the NHL. An alternative which can also be used in the NHL would be desirable or AHL-contract only. This would be again 5 spaces available on the 50 man reserve list. Done, but better? Only one thing I would do differently then whats already been said. DO NOT RESIGN SHULTZ. Tyler Bunz, Matt Fraser, Kellan Lain and Frans Tuohimaa do not get re-upped. all are RFA’s and can be shown the door as far as i am concerned. there you go, 4 extra contract spots are now open. This is what I would like to see from the FWD group. Why is everyone so horny to break up that top line? The defence is a mess. Seems to me that Mac is doing with the D the same Tamby did with the FWDs. Bring in younguns and throw them to the wolves with little to no Vet support. A no1 dman is not going to come via trade. I think a defence by commitee approach is the best option. Bring in some good vets on an over pay fpr 2/3 years. Goal- #1 Goalie and a Back-up goalie….